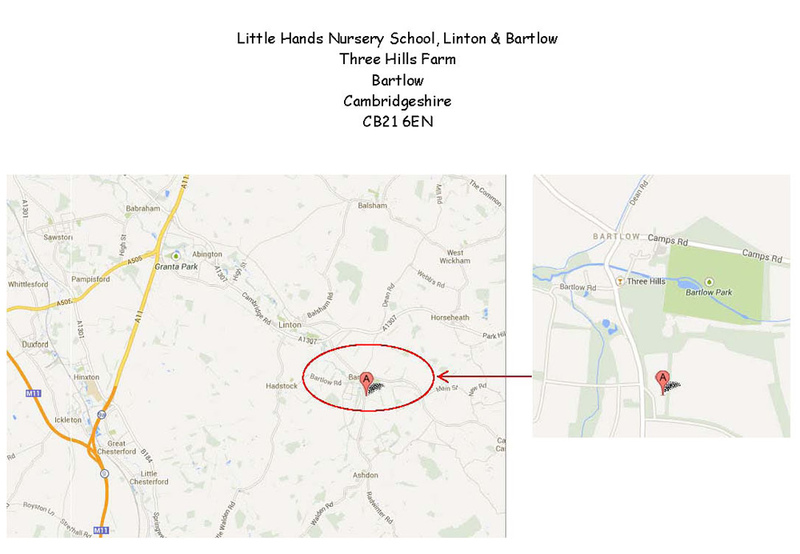 Little Hands Nursery School – Linton & Bartlow, having a dedicated baby room, offers preschool care and education for children aged six months and over. The setting occupies a converted farm building in Three Hills Farm, a select development on the Bartlow Estate. 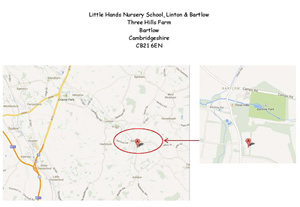 Located off the Ashdon Road on the outskirts of Bartlow, the Nursery School is ideally placed to serve the popular villages of Linton in South Cambridgeshire and Ashdon in Essex. 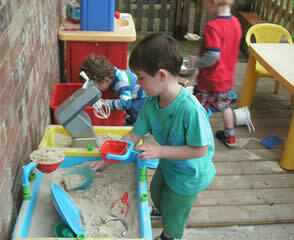 Conveniently situated as it is on the intersection of Cambridgeshire and Essex for Cambridge, Haverhill, Saffron Walden and the surrounding villages, the Nursery School is in an idyllic rural location. 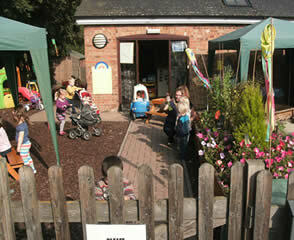 A light, bright and airy main room and dedicated pre-school room both of which open onto the fully equipped, totally enclosed and imaginatively landscaped inside / outside play area with views over open countryside. 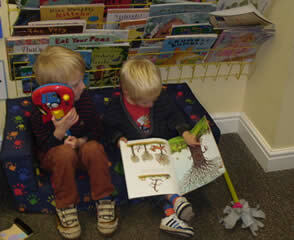 The new, dedicated and separate baby room, leading from the main room, provides our younger children a place of their own whilst allowing our older toddlers access to the main room where, under supervision, they can look and learn from their older peers. 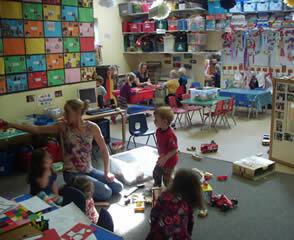 Like the Melbourn Nursery, Linton & Bartlow differs from the other Little Hands settings in providing this dedicated and separate baby room facility.